Bio Notes: Thomas Turnbull was born in Glasgow in 1825, the only son of Joshua Turnbull, solicitor. He was orphaned at an early age and articled to a Turnbull cousin who was a house carpenter (his RIBA obituarist says 'to learn the building trade'), perhaps the same family as that to which Alexander Thomson's future partner Robert Turnbull belonged, in 1839. After completing his articles in 1842 Turnbull found a place in the office of David Bryce, first as a clerk of works and then as both clerk of works and draughtsman. Thereafter he found employment as a clerk of works with the architect-builders Arthur and George Holme in Liverpool, probably in anticipation of his emigration in 1851 to Melbourne, Australia where he practised in 'the digging townships' for nine years. In 1861 'attracted by the news from California' he sailed for San Francisco where he entered into a partnership with an established architect there, ____ England. England died in 1867 or 1869 (sources vary), and Turnbull continued the practice alone thereafter. During his time in San Francisco Turnbull was Hon Secretary of the Architectural Association there and designed Trinity Church, Market Street Presbyterian Church, Bancrofts printing works and 'a large number of warehouses and city residences'. His obituarist reports that they were responsible for 'many important buildings that were in existence until the recent earthquake' of 1868. Turnbull's health failed 'under pressure of American professional tactics' and his physician advised him to rest from business and take a long sea voyage. He left his family in San Francisco and landed in Auckland, New Zealand in the late summer of 1871. He then went south and settled briefly in Dunedin before deciding that his professional future lay in Wellington as the seat of colonial government. He secured a government post as assistant to ____ Clayton, the colonial architect, disposed of his San Francisco practice and removed his family to Wellington. In the following year he commenced practice on his own account and was hugely successful in winning competitions for public buildings and obtaining commissions for hotels, office buildings, warehouses and factories: most of these were in an accomplished free Renaissance manner with superimposed orders reflecting American rather than Scottish practice. His Gothic churches and lesser buildings in New Zealand were usually built of timber. Turnbull was admitted FRIBA on 7 January 1884, his proposers being the Aberdonians David Ross of Dunedin and Frederick William Burwell of Invercargill, and William Wilkinson Wardell of Sydney. 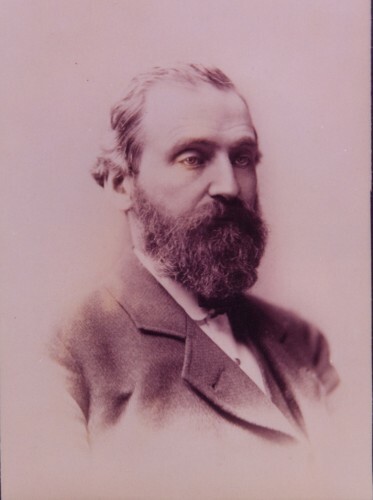 Turnbull was architect to the Wellington Education Board and first president of the Wellington Association of Architects. Turnbull took his youngest son William into partnership in 1891. He died on 23 February 1907.